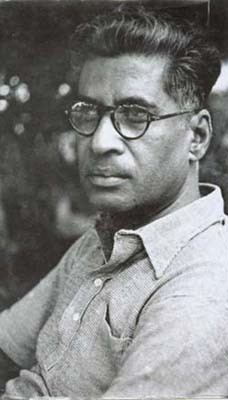 M.N.Roy was the founder of Humanist movement, Renaissance movement in India. Participated in International Communist movement along with Lenin, Stalin, Trotsky, Bukharin. Played important role in Indian Liberation fighting along with Jawaharlal Nehru, Subhas chandra Bose. First vice-president of International Humanist Association formed in Amsterdam in 1952. Personal acquaintance with Einsetin and other scientists. Edited Journals: Independent India, Marxian Way, Humanist Way, International Press Correspondence, Radical Humanist. Written books on Humanism, Ranaissance, Russian Revolution, Philosophical Consequences of Modern Science. Toured World countries; China, Russia, Mexica, USA, Far East, European countries. Pleaded for seperation of State and Church. Stood for scientific education at all levels.